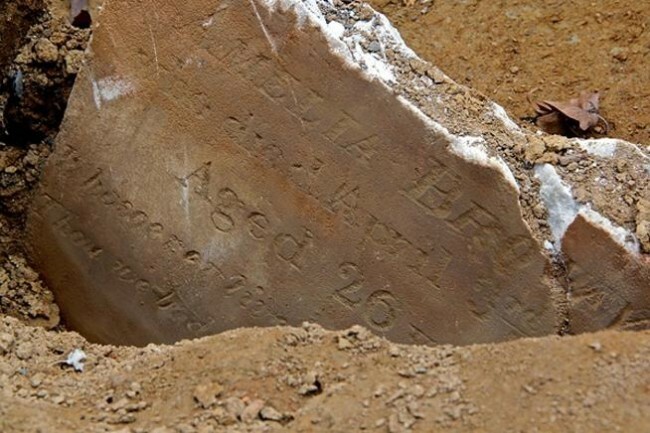 The 7-month-old Sloan child died this date, March 11th, in 1845 and was buried at Bethel Burying Ground. The seven-month-old child of Paul and Elizabeth Sloan died this date, March 11th, in 1845. He was misdiagnosed with the cause of death as “teething” which was due to a lack of scientific knowledge in that era. Please see the article below. The attending physician scribbled the baby’s first name so we cannot be certain of its gender. Paul was a bootmaker making $6 per week and Elizabeth was a dressmaker according to the 1847 African American Census. Both parents were artisans. It is not unheard of however it is rare that an African American would be allowed to make boots by the all white bootmakers association. This speaks to the skill and talent that Mr. Sloan brought to his work.Blacks were more likely to do shoe repair. The Sloans lived at 20 Washington on Street near the intersection of 6th and Walnut Streets in center city Philadelphia. They paid almost $3 a month for this room. In today’s currency, it would be about $75 for this room that may have been only 10’x10′. Teething has not been shown to cause fever or diarrhea; however, the belief that teething causes fever is extremely common among parents. Whilst there is some evidence that teething can cause an elevated temperature, it does not cause fever (temperature over 100–101 °F.